Construction of the I-495 northbound bridge is expected to be completed by 2020. Work is under way on the $102 million project to replace the bridges that carry traffic on I-495 over the Merrimack River in Haverhill. Early construction activities included clearing and erosion controls along I-495 including the median and areas adjacent to the I-495 northbound bridge and slopes. 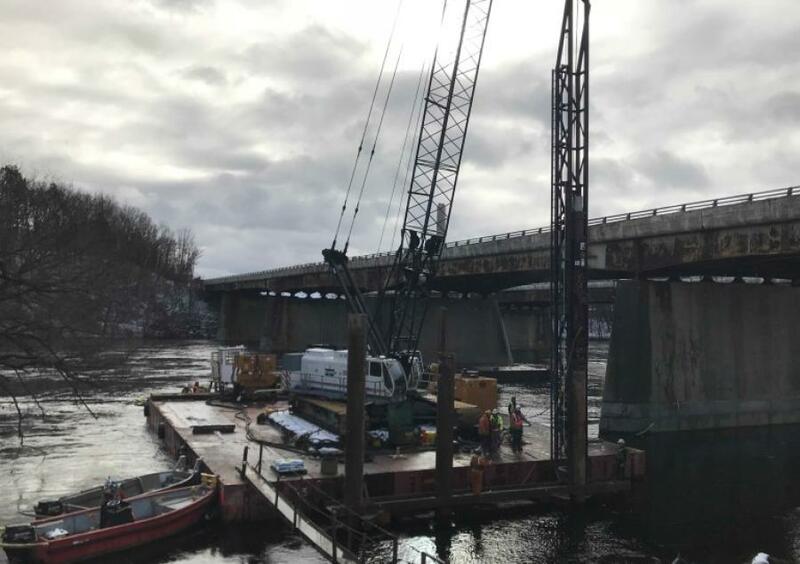 Current construction activities for the new I-495 northbound bridge include in-water work, which consists of driving piles for the temporary access trestle and drilling shafts for the bridge foundation. Construction of the I-495 northbound bridge is expected to be completed by 2020. The new I-495 southbound bridge will be constructed beginning in 2020. The full project is expected to be completed in 2022. The project also includes widening and reconstructing ramps; realigning the roadway; improving the roadway drainage system; constructing pier protection barriers for existing bridge piers at the River Street (Exit 49) and Route 125 Connector (Exit 48) overpasses; and improving signage and pavement markings. In order to minimize the impacts on the traveling public and the local community, MassDOT will maintain three lanes of travel in each direction on I-495 north and southbound during peak commuting hours throughout construction. For more information, please visit mass.gov/i-495-haverhill-bridge-replacement-project.